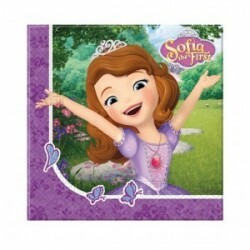 Sofia the First Party Supplies There are 10 products. Sofia the First themed plastic table cloth. 120x180cm. Sofia the First themed party serviettes. Packs of 20. 1 x 45cm round shaped foil Sofia the First themed balloon. "Happy Birthday" message. Requires Helium for inflation. Disposable Helium canisters available. 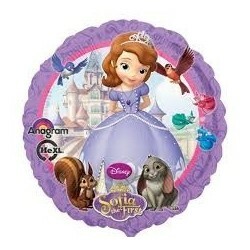 1 x 45cm round shaped foil Sofia the First themed balloon. Requires Helium for inflation. 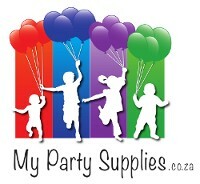 Disposable Helium canisters available.